AutoCrib - Askew Industrial Corp.
Askew Industrial is proud to offer its customers with one of the most innovative and cost-saving systems in the inventory replenishment and tool control fields. 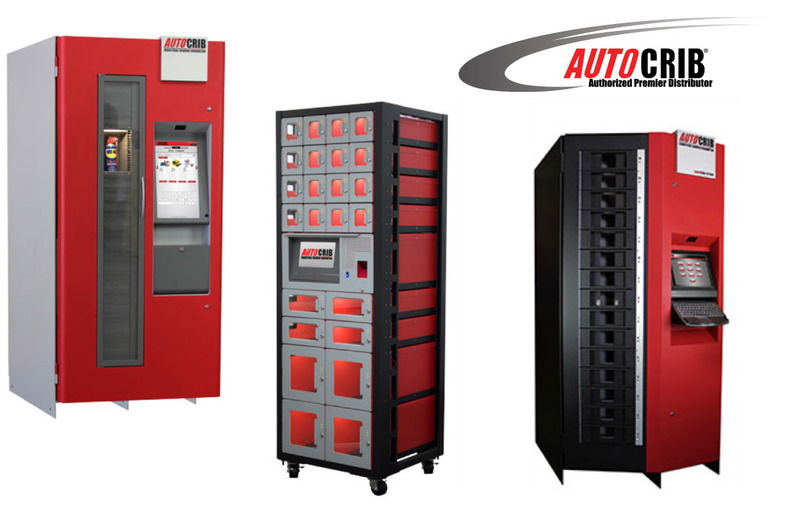 Askew Industrial is an international authorized distributor of AutoCrib and has many installations of AutoCrib dispensing machines nationwide. Since its inception in 1995, AutoCrib has maintained its lead in the point-of-use technology, through building its own hardware and writing its own proprietary software. AutoCrib products are now being used by some of the largest OEMs such as Boeing, Caterpillar, Gulfstream and Northrop Grumman. Industrial vending machines provide point-of-use inventory management for industrial supplies. Workers simply use the inventory scanner to scan an ID or fingerprint to issue or return items. The industrial vending system with the stock management software does the recordkeeping automatically just like a tool crib attendant – it can even re-order the products for you!